- Practice reading every day. You should read different fields to improve your vocabulary. - Take note all new words and learn them. - Try to answer all the questions. - After answer all the questions. Check the key and read the passage again to find out the mistake you have faced and deeply understand the passage you have read. - Practice reading techniques - scanning, skimming, intensive and extensive reading. + Scanning: You try to find a particular piece of information. You read from top to down of the text quickly to find the specific information you need to answer questions. + Skimming: You try to gather the most important information as quickly as possible. You read from top to down of the text quickly and note important information. + Intensive reading: You try to find the details of a specific information. Example question: What does "intensive" in line 5 mean? 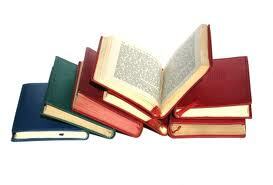 + Extensive reading: You try to find general information of a passage. Example question: What is the best title for this passage?